In the recent three-years action agenda released by NITI Aayog, it has called for holding synchronized two-phase Lok Sabha and assembly elections from 2024 in the national interest. It is significant to assume the recommendation of the Aayog as former President Pranab Mukherjee and Prime Minister Narendra Modi have strongly pitched their support for holding simultaneous elections. Consequently, the Union Government sought views of the public on MyGov web portal. Thus, simultaneous elections have been the talk for a while now. Let us see the advantages and disadvantages of the suggested political reform. First, it brings down the cost of elections. Since 1977, the election cost is skyrocketing. It was 11.5 crores in 1971, 54 crores in 1980, and 154 crores in 1989. By 2004, it was 1300 crore. The expenses on state assembly elections are also rising. The election to the Bihar assembly cost the state government Rs 300 crore. For the Lok Sabha elections in 2004, 2009 and 2014, the total expenditure on these elections was Rs. 2466.07 crores. For State Assembly elections over the period 2004 – 2015, it was Rs. 2727.79 crores. With simultaneous elections, the state will spend less time and money. Second, politicians get more time for other important work. In the current setup, political leaders and aspirants must be in the campaign mode all the time. Union, state and local elections ensure that parties and political people are constantly involved in electioneering. Simultaneous elections would give political and social workers time for other work, such as development projects, citizen engagement, legislative research and more. Third, a combined election is easier to monitor. It avoids repeated enforcement of Model Code of Conduct. The tentative election schedule shown in the figure implies that Model Code of Conduct will be applicable for 4 months or more every year, hitting development programs and projects. First General Elections to Lok Sabha and all State Legislative Assemblies were held simultaneously in 1951-52. That practice continued in three subsequent General Elections held in the years- 1957, 1962 and 1967. However, due to the premature dissolution of some Legislative Assemblies in 1968 and 1969, the cycle got disrupted. In 1970, the Lok Sabha was itself dissolved prematurely and fresh elections were held in 1971. 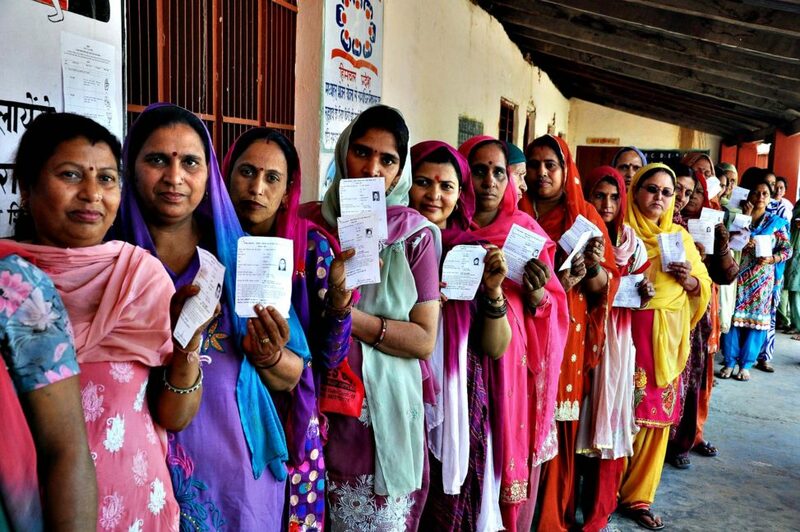 As a result of premature dissolutions and extension of terms of both the Lok Sabha and various State Legislative Assemblies, for the last forty-eight years, there have been separate elections to Lok Sabha and States Legislative Assemblies and the cycle of simultaneous elections has been staggered. There are some challenges also in implementing this reform. First is the timing of elections for different legislatures – Lok Sabha, Vidhan Sabha, Rajya Sabha and Vidhan Parishad. Now, Rajya Sabha and Vidhan Parishad have a membership of six years while Lok Sabha and Vidhan Sabha have a five-year term. Second is the challenge of how and when to do the next elections since current terms will end at different times. Similarly, one must decide the schedule of bye-elections and design a system of the election if a legislative body must be dissolved before its term ends. The Law Commission has recommended that elections of legislative assemblies whose term ends six months after the general elections to Lok Sabha can be clubbed together. However, the results of such elections can be declared at the end of the assembly’s tenure. To hold early elections to Lok Sabha and state legislative assemblies, one of two conditions must be met: (i) a motion for an early general election must be agreed to by at least two-thirds of all members of the House; or (ii) a no-confidence motion must be passed by the House, with no alternative government being confirmed within 14 days of passing a confidence motion. Further, elections to some Legislative Assemblies could be held during the midterm of Lok Sabha. Elections to the remaining legislative assemblies could be held with the end of Lok Sabha’s term. Standing Committee of Parliament which deliberated on the “feasibility of holding simultaneous elections to the House of people (Lok Sabha) and State Legislative Assemblies” recommended that holding of simultaneous elections to Lok Sabha and state assemblies would reduce (i) the massive expenditure that is currently incurred for the conduct of separate elections; (ii) the policy paralysis that results from the imposition of the Model Code of Conduct during election time; (iii) impact on delivery of essential services; (iv) ease the burden on the crucial manpower that is deployed during election time. Let us also look at some other countries holding simultaneous elections. In South Africa, elections to national as well as provincial legislatures are held simultaneously for five years and the municipal election is held two years later. In Sweden, election to national legislature (Riksdag) and provincial legislature/county council (landsting) and local bodies/Municipal Assemblies (Kommunfullmaktige) are held on a fixed date i.e. second Sunday in September for four years (last was held on 14th September 2014 and the forthcoming one is slated on 9th September 2018). In the US, many elected posts go for the ballot on the same day, making it easier for the voters. While implementing this, India might also go digital when it comes to the election. Digital elections will reduce cost, increase speed, increase voter turnout and prevent malpractices at the polling station. Of course, we need to create a safe and secure cyber environment for this. In addition to the philosophical arguments against simultaneous elections, there are challenges of feasibility also such as those mentioned above. However, with the promises that the reform suggests, the idea must be explored further and given space for larger discussions. Soumya Garg is an Associate Director at Vision India Foundation. She is a graduate of Lady Shri Ram College for Women, Delhi University.